If everyone sings the same note, we don’t get beautiful harmonies. 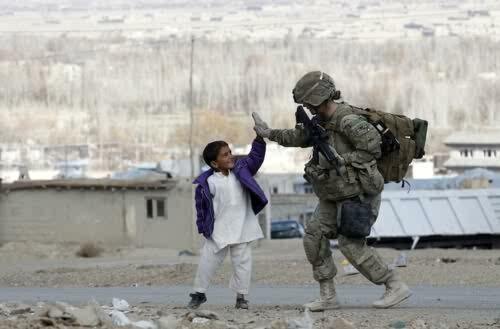 A U.S. Army soldier takes five with an Afghan boy during a patrol in Pul-e Alam, a town in Logar province, eastern Afghanistan. It’s beautiful. The differences. ← Happy Mother’s Day, Mommy.